Lizzie Lytle was born 3 January 1823 and died 3 June 1910. She married her first cousin, John Lytle and they had seven children. 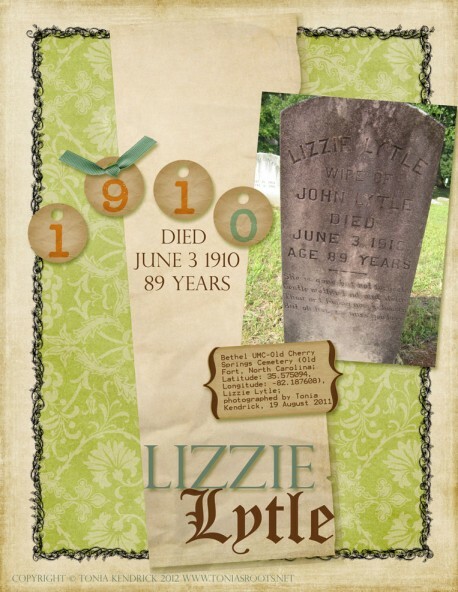 Lizzie and John are buried in Bethel UMC-Old Cherry Springs Cemetery in McDowell County, North Carolina.